Police in Rhode Island are asking people to be on the lookout for a goat that wandered off a landscaping job. Warwick police say the goat, who goes by the names Sammy and Frank, turned up missing during a post-work head count on Tuesday. 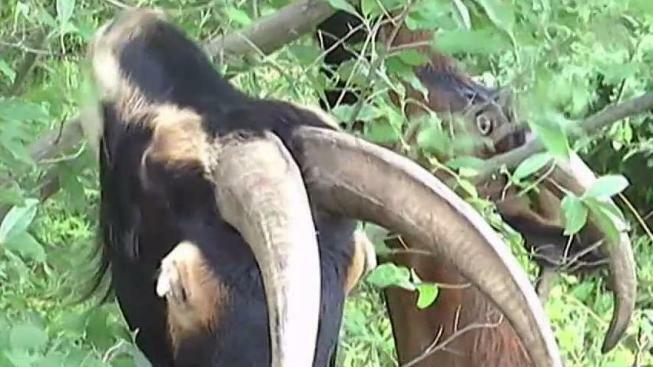 He is owned by The Goatscaping Company, based in Plympton, Massachusetts, which offers the ruminants as an alternative to herbicides in the management of vegetation. Police say he has one curly horn and is small, brown and generally "funny looking."